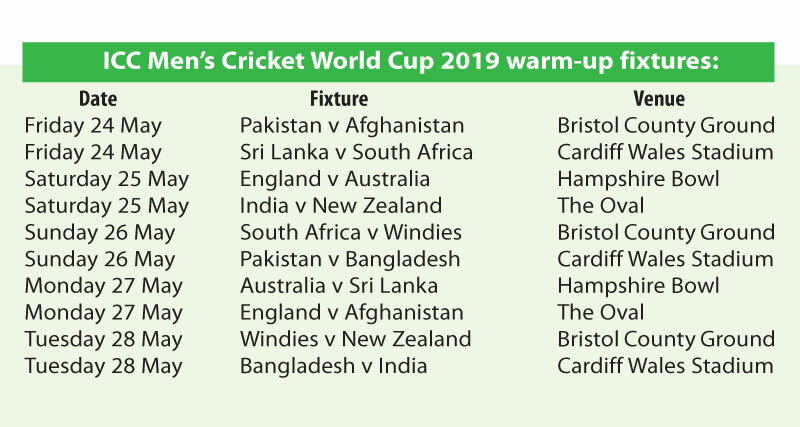 The official warm-up fixtures to be played in the lead-up to the ICC Men’s Cricket World Cup 2019 in England and Wales was announced yesterday. The fixtures will be held over five days between 24-28 May, and will be hosted at four of the official CWC19 Tournament Venues; the Bristol County Ground, Cardiff Wales Stadium, Hampshire Bowl and The Oval. There are a number of high-profile clashes, including England v Australia, Pakistan v Afghanistan and Bangladesh v India.